The undisputed favourite for Hollywood stars, the Salvatore Ferragamo brand truly is the epitome of luxury. If Italian fashion has made its mark across the world today, a big part of the credit goes to the founder Ferragamo, who pioneered a whole revolution in the arena when he began his career, making shoes for Hollywood stars in the 1920s. With names like Sofia Lauren, Rita Hayworth and Audrey Hepburn on his client list, it was just a matter of time before Ferragamo’s skill and unmatched eye for details caught the fancy of the world. Visit the Chadstone store and take your pick of some stylish Salvatore Ferragamo flats, shoes, beautifully designed handbags, elegant belts, fragrances and accessories from the line. 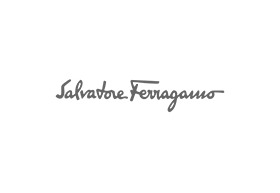 Ferragamo has a comprehensive collection for both men and women and every single piece from this international fashion line is sure to grab attention no matter where you are and where you go. The store proudly stands, as one among the many coveted luxury brands at Chadstone, in the luxury precinct section at the ground level, near car park A. Talk about innovation in footwear and you will surely hear the name of Salvatore Ferragamo being mentioned. Whether it is the unique concept of ‘platforms’, which the Ferragamo brand introduced to the world in the late 1930s or the switch over to raffia, wire, hemp and even candy wrappers when leather became scarce, the brand is known for out-of-the-box designing and truly unique styling ideas. The legacy continues to this day prompting millions of adoring fans that flock to Ferragamo stores across the globe.